I love the color and movement in this quilt top. It reminds me of dancers moving in different positions across a stage. This quilt top is the first project I started in 2013, and I’m pleased with the results. One of those times when what I pictured actually works! Really lovely. Especially with the dark background. I love it!! It’s perfect- great job! Your quilt top is perfection. I love it. I love this! I think I need to make one. awesome pattern. way to go! Oh this is beautiful, love the gray background..very nice! 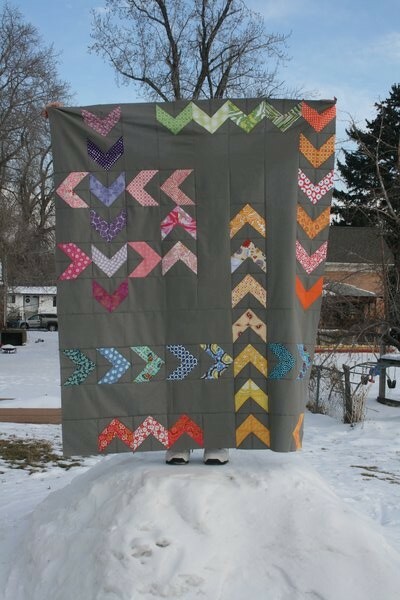 I LOVE this quilt top! !